I traveled to Fairfax, Virginia on December 2nd to see Virginia Opera's production of Hansel and Gretel. 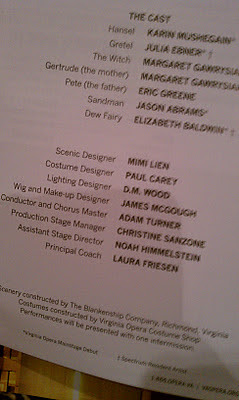 The modern production was directed by Kevin Newbury and more importantly to me, assistant directed by Noah Himmelstein. I was thrilled to be able to go, but honestly I am even more thrilled now that I've seen it. I had seen Hansel and Gretel at the Met so I was familiar with the music and the operatic version, and of course the Grimm's fairy tale version. Seeing this production was seeing the story in a very fresh and exciting way. The family of Hansel and Gretel were German immigrants. They sang in English, except for any German folk songs, which was a clever take. The set and lighting were witty and delightful. I loved certain little jokes that fleshed out the characters - the German country decal on the family station wagon, that actually seemed to be driving on stage; vaccuum cleaners instead of a broom for the witch; and a magical carnival in which the witch was the ultimate crazy Carny. In fact, the stepmother and witch were played by the same performer, which lent further emotion to the proceedings. The cast was fabulous. Hansel was played by Karin Mushegain; Gretel was Julia Ebner; the Witch/stepmother was Margaret Gawrysiak; the father Peter was Eric Greene; the Sandman was played by Jason Abrams and the Dew Fairy was by Elizabeth Baldwin. I was taken with all of them, but in particular mezzo sopranos Karin Mushegain and Margaret Gawrysiak. 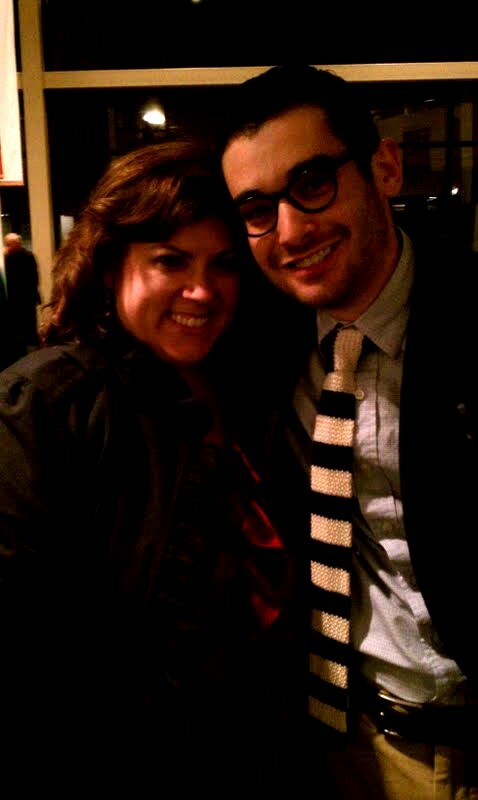 Karin Mushegain has a gorgeous clear higher mezzo voice with impeccable diction. Margaret Gawrysiak (who by the way already has the Wolftrap Opera Mrs. Lovett under belt at a very tender age) is not only a fabulous singer, but a fantastic actor and comedienne to boot. I hope to see both of these young ladies in future performances. I loved seeing a regional opera production and am encouraged to see more. 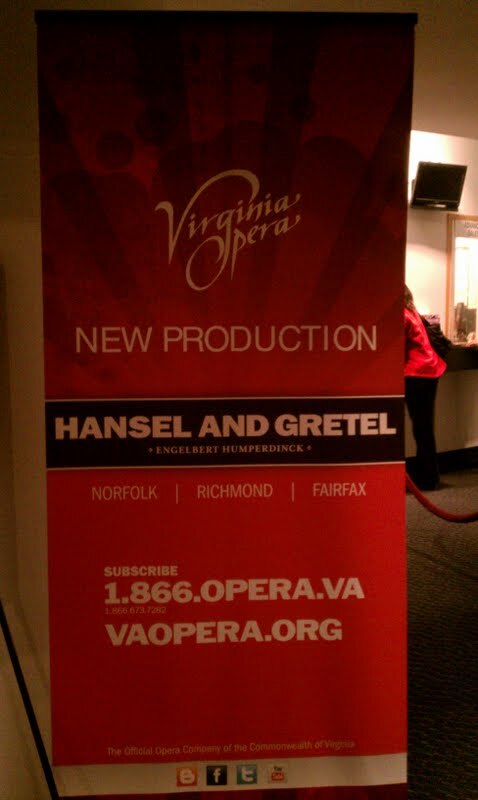 My friends are regular subscribers at the Virginia Opera in Fairfax, which is produced at George Mason University. This was Noah's first gig of this level on the road and I'm so proud of his contribution to this beautiful production.